Specializing in operating systems, no matter what the year, no matter what the machine, no matter what the challenge! Easyclix offers mainly a computer troubleshooting service on the Chamonix valley, like the unlocking of computers, the resolution of small or large computer problems, various and varied, on PC or Mac, equipped with Windows, Linux or OS X Or 2, or 3 operating system), the creation of websites with advanced SEO and thought, and also the creation of custom software for your professional activity, and many other related IT services. Easyclix is operational to repair your computers in Chamonix, fixing problems with your operating system, fixing problems of drivers installations or not installed, optimizing the performances of your computer, preparing your computer (much like an automaker with a car that would only ask to sing ! whether the base is weak or already strongly planned for optimizations of all kinds). 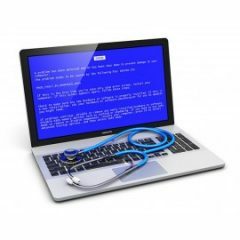 On Mac (iMac, Macbook Pro or Air, Mac Mini), and troubleshooting on PC (HP, Dell, Alienware, Asus, Acer, Toshiba, Clevo and all other computer brands). Easyclix repairs PCs equipped with Windows in its Chamonix workshop, which can encounter all types of problems, like a necessary hard disk replacement, a problem with installing a WiFi card, or that concern the stability of the Windows operating system (Xp / vista / 7 / 8 / 10, and sometimes Windows 95, 98, Me, 2000!) Or hassles due to viruses and / or malwares, and other malicious programs. 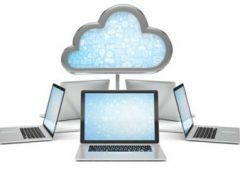 Easyclix can generally get you out of business in a few hours for any software problems, and has enough parts in stock to quickly troubleshoot 80% of hardware problems (on laptop or desktop PC), for the 20% that will require an hardware order. 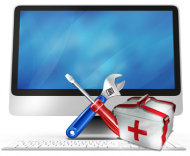 Easyclix provides a Mac repair service on the Chamonix valley, but also on all the around valley. Indeed, the nearest Chamonix Apple Store is located in Switzerland in Geneva (at 100Km from Chamonix), so Easyclix has equipped itself to be able to repair a lot of Macbook Pro and the defective iMac, for privates and professionals of Chamonix. We offer quality service in repairing Apple machines, and can provide you with solutions on many problems related to Macs. 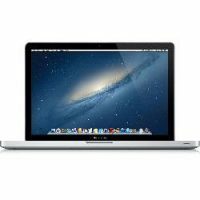 Visit our Mac repair page in Chamonix ! 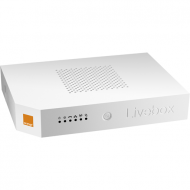 Once your ADSL subscription has been taken at Free, Orange or SFR, Easyclix can come at home to install all your equipment in connection with it, such as Livebox, Freebox, Box SFR, BBox, and all other ADSL/xDSL routers solutions. Installation of Wifi relay if your home is great ! We also have the skills to realize this same kind of installation with Satellite Internet solutions, with Sat2Way for example (apart from the installation of the dish on your home, for this we can redirect you to the competent professional in The material on Chamonix also). Easyclix is the only place in Chamonix that offers the sale of new and used computers (both in PCs and Macs). We work only with reputable brands of computers, and as a computer repairer, we know the models and brands to avoid ! Visit our “computer store in Chamonix” page for current events, as well as new year-round equipment.